Health always come first and you should always protect yourself, period. 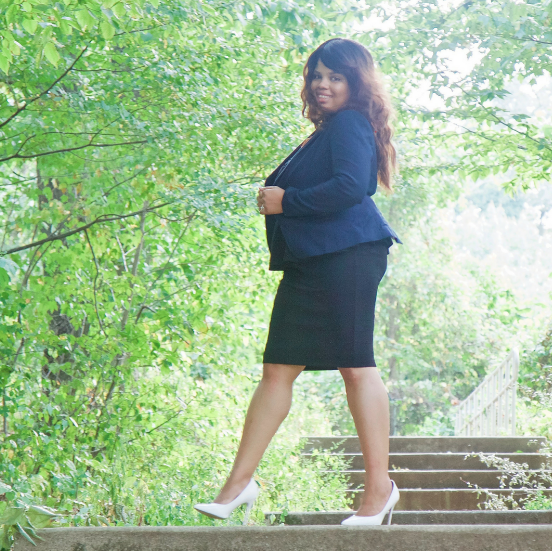 had the pleasure of interviewing Cena Martin a confidence coach, motivational speaker, and founder of the Confidence Catchers Community, a virtual community where she helps millennial women catch their confidence & heal from emotional abuse so they can stop accepting opinions and realities that are not their own. After nearly two decades of emotional abuse, Cena searched for and found the steps to heal and rebuild her own confidence and now offers that same transformation to young women around the world through various coaching programs, presentations, and educational materials. Thank you for the opportunity! Since I was a young, I’ve been working towards mental wellness. Picture this: You are just starting first grade as the weather outside is getting cold. One night, you go to bed later than usual, quickly falling asleep, and the house is eerily quiet. You wake up to find your mom’s boyfriend in your room, drunk and barely conscious. He physically abuses you and then stumbles out the room after you yank over on your side in your bunk bed to pretend you’re going to wake up. Now stop. This was me at 6 years old! That experience left me feeling so alone. It unleashed mental illness issues. Worse yet, once I told my mother, she physically abused me with a beating and quickly called my truth a lie. This was the first time my confidence shattered and I felt unsafe in my own family. I went on for many, many years searching for approval and love. I looked for it from my family, in friends, in mentors, and in men. But the day I realized that I could give love and approval to something that was bigger than me — my son — was the day I began giving it to myself. Unbeknownst to me, becoming a young mom my senior year of high school was the greatest thing that could have happened because it sparked a fire and I started a new search that made me mentally healthy and confident, no matter who was around. The rest is history. With the holiday season almost over, many people have been visiting and connecting with relatives. While family is important, some of them can be incredibly challenging. How would you define the difference between a difficult dynamic and one that’s unhealthy? A difficult dynamic is one that makes you uncomfortable or one in which you have to put in extra effort to keep the peace between the different personalities in a room. For example, we recently threw a birthday party for my son and had two relatives show up who had a heated exchange during the ride to this particular location. I pulled those relatives to the side and had a conversation with each one separately, managing the situation while setting the tone for the rest of the day. Needless to say, the day turned out beautifully. Families have a large part to play in our overall mental health. While some members may be champions for wellness, others may trip triggers. What advice would you give about engaging both types of relatives? I would say to take it in doses and be totally aware of your peaceful place. What I mean is that it’s wise to have an inner sanctuary (a “peaceful place” you go to inside of you) that you can turn to anytime things get too intense or you feel like you are losing control. I can find my own in about 40 seconds by going into another room or heading outside to take in fresh air. Think of what your inner sanctuary is and keep it close by. Another option is to be aware of your personal triggers and when you see the signs, graciously move yourself into a conversation with another family member or into another room to take part in the festivities there. The key here is to not just sit and allow family members who trip triggers to send you overboard. Have ways you can keep control of the situation top of mind, and for God’s sake use them! Yes, I do believe there is a difference. An unhealthy family has it’s issues of course, but work can be done there to find the root and get to the bottom of it. All is not lost. However, in a toxic family the same is true but it is much harder. Usually one or more of the family members don’t necessarily care to get to the root of the issues and they would rather keep the secrets and problems pouring if it means they don’t have to take responsibility for the role they played in the matter. I would advise dealing with a toxic family member with the truth. If they choose to not acknowledge that and want to keep the problems pouring rather than to take responsibility or make any changes to the environment they are creating, you have a right to remove yourself from the situation. Yes! I had a client a few years back who had an awfully challenging time seeing eye to eye with her mother. They loved each other dearly, but she had dreams of being a performer and entrepreneur and her mother was used to job security and not taking risks. They fought like cats and dogs and my client’s mother often put her down and triggered her internal fears of running out of money. I took my client through a process of forgiving her mother and forgiving herself for the struggles and problems that had led them up to this point in their relationship. We worked together on a few other areas for about 3 months. Now my client is in business with her mother by her side and they are both incredibly happy with what they do every single day! It was an incredible transformation to watch and be a part of. Managing mental health in high stress situations is challenging and although gatherings are only a few times a year, they can make a major impact on overall wellness. What 5 strategies do you suggest using to maintain mental health when faced with an unhealthy family dynamic? Try an exercise that will help you get instantly grounded and focused. A good one to try is Alternate Nostril Breathing. This exercise is very simple. It relieves stress and calls on your brain to focus by breathing out of one nostril at a time for a few minutes. How To: Sit in easy pose (legs crossed, or legs out in front of you in a “V” shape if that’s more comfortable). Place your right hand on your thigh, palms open up to the sky. With your left hand, close off the air passage to your right nostril and take full deep breaths. Continue breathing deeply for 1–2 minutes. This breathing technique allows your body to focus on using different muscles to breath and also creates the space for more focus in your brain. You can try this as well if you become a bit restless. Try this exercise throughout the gatherings when you find yourself unsettled or are struggling to focus on unhealthy family dynamics. 2. Go beyond positive thinking, and remember how amazing you are. If you do struggle with very high levels of self doubt and find it difficult when family members criticize or talk negatively about you, then try taking what they say and turn it into a positive declaration about yourself. 3. Go into the situation with an open mind and respond respectfully. I know gatherings like this can be extremely difficult but, if you go into it with an open mind and knowing what to expect from certain family members, you may be able to better control how you respond in conversation. Don’t give into other people’s toxicity and negativity when you don’t have to. Be kind, be courteous, and your conversations may benefit if everyone involved is willing to show the same level of respect to one another. 4. Don’t stay in a room or a conversation if you are not being treated right while there. If you need to disengage and separate yourself from a family member or group of members who are no good for your mental wellbeing, than do it without apologizing. 5. Set boundaries and mean it. You have got to let it be known how you want to be treated. If you are not pleased with the way you are being touched or talked to, call it out and put an end to it right then and there. Standing your ground is important, and in a family setting you won’t be able to get far without it. Be a support system. If you are an ally, respect the wishes of what that person has asked for. Be a role model for the other family members to follow. You can easily avoid causing friction by modeling the behavior instead of verbally telling another adult what to do. You make the difference and set a visual example of how that person struggling with mental illness wants to be treated. What is your favorite mental health quote? I found this so impactful because it reminds you to never get stuck or focused on the darker sides of mental illness. Be aware of them and yes seek out the necessary help, but keep moving. There’s always something that comes next and that’s the beautiful part of it all. If I could inspire a movement in mental wellness, it would be to revolutionize the way mental health is addressed and clinically treated here in the United States — especially among women of color. People can support me in this mission by researching and volunteering in their own local mental health facilities and programs. Secondly, join me in the conversation online using the hashtag #ConfidenceCatchersCommunity and encourage more young mothers who struggle with mental health and lack of confidence to seek the support they need and make the changes necessary to take back control of their lives. Moms like us are raising the next generation. We need to be at our best to do it!